CANTON, Ohio, June 29, 2018 /PRNewswire/ -- TimkenSteel Corp. (NYSE: TMST, timkensteel.com) a leader in customized alloy steel products and services, has earned the prestigious American Metal Market (AMM) Award for Steel Excellence in the "Best Innovation – Product" category for its Endurance family of ultra-high-strength, high-toughness steels. The company was recognized at AMM's awards ceremony on Tuesday, June 26, in New York City. The AMM Awards for Steel Excellence recognize world-class innovation and excellence in steel and steel-related industries. Winners are selected by a panel of judges with extensive steel industry leadership experience. "We're honored and humbled to be part of such a distinguished group of industry innovators," said Ray Fryan, vice president of technology and quality. "Innovation has been a TimkenSteel core value since we were founded more than 100 years ago. The focus on making cleaner and better-performing steels to meet our customers' needs is something our company – and especially our team of materials science and manufacturing experts – are particularly proud of." 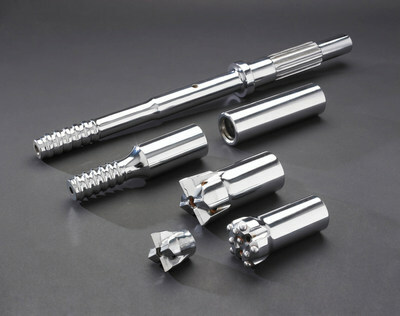 The Endurance family of steels, comprised of both TimkenSteel's existing high-strength and/or high-toughness grades as well as three new, patent-pending, ultra-high-strength, high-toughness steels, is designed to provide longer life, more power and/or lighter weight in highly engineered components like gears. These grades provide multiple material options that can satisfy a range of performance objectives. In addition, higher levels of strength and toughness offer designers and manufacturers the ability to create improved components that can achieve significant savings and performance advantages over those produced from more traditional steel grades. Additional benefits may include reduced downtime and lower warranty costs. The Endurance line results from close collaboration with a broad range of industrial, oil and gas and automotive customers to achieve enhanced results in extremely demanding applications.